Two classic films in which a still photograph plays a crucial role. 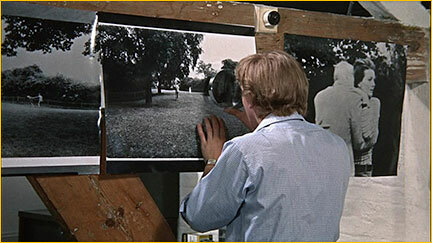 In Michelangelo Antonioni’s Blow-Up, a cocky fashion photographer in 1960s Swinging London has his world turned upside down by his realization that he may have inadvertently photographed a murder. The photos tell one story – but what really happened? 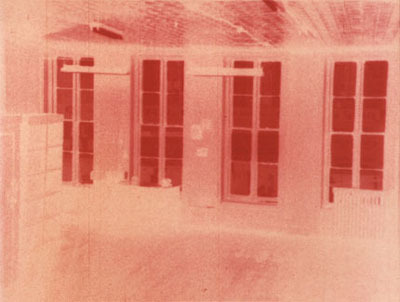 In Michael Snow’s Wavelength, four mysterious events happen inside a New York loft as the camera slowly, relentlessly zooms toward an image on the opposite wall. 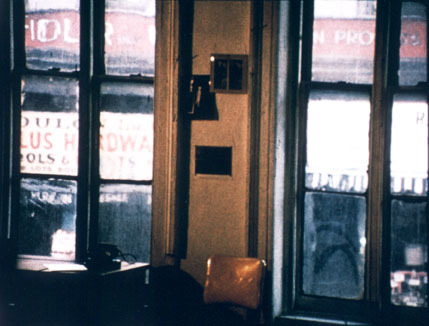 Paradoxically, as the frame narrows in scope and nears its destination, the film takes on an almost spiritual intensity. One of the most influential and written-about works of the 1960s. Negative and positive: two stills from Michael Snow's Wavelength. The camera relentlessly approaches a mysterious image on the wall.